NASHVILLE, Tenn. — The school year is only a couple weeks in at Lipscomb, but Greg Brown is already conducting practice for the women’s basketball team. 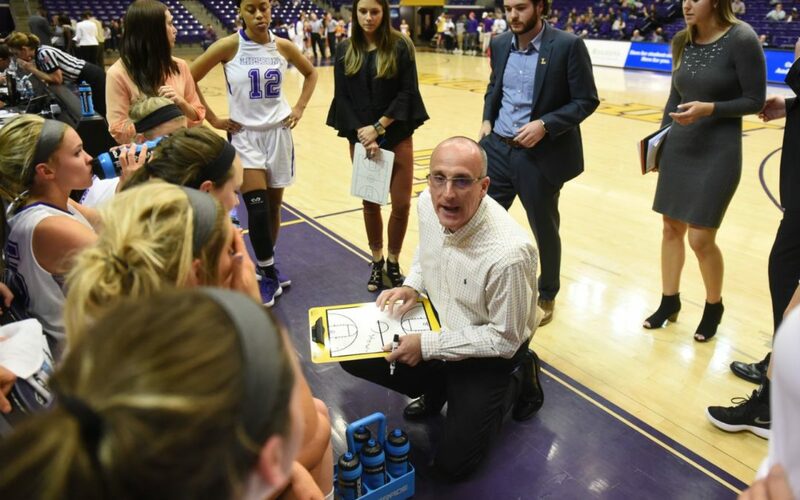 After a 12-19 season which ended in a 50-point loss to FGCU in the conference semifinals, head coach Brown’s team will return without seven seniors from last year, including Loren Cagle. The season doesn’t begin until November, but the Lipscomb athletics department recently posted the 2018-19 schedule; and it is full of enticing matchups. This includes road trips to Clemson, Cincinnati, Belmont and Georgia. Indeed, if you look at the 2017 and then the 2018 schedule, you’ll notice that two newcomers, UNA and Liberty, make up part of a nine-team ASUN this year, versus the eight-team conference from 2017. This changes the no-man-left-behind tournament field that the ASUN had last year. This year’s roster enters a new era. For starters, superstar Loren Cagle graduated this spring. Brown discussed how Lexi Manos and Lauren Rau will be returning, “with a ton of experience.” He noted Anna Hammaker’s introduction to the lineup this year. Due to NCAA transfer protocol, she sat out last year. Lipscomb’s roster also features seven freshmen and a transfer, Sydney Shelton (Butler). “She’ll have to sit out this season,” Brown said of Shelton. Lipscomb enjoyed success during part of the finals. During the quarterfinals in March, USC Upstate came to Allen Arena only to lose by 42 points. The Lady Bisons unfortunately couldn’t maintain that momentum against FGCU. “Winning in the tournament and then going on the road and getting to play those types of things, I think, sets a standard for what the work had to be like in the offseason,” Brown said. The Lipscomb Lady Bisons have a much steeper climb to the top than they did last year. But Coach Brown appears optimistic about it all. You can follow our coverage of Lipscomb sports right here on Lumination Network. For more information on the Lady Bisons, click here for the complete schedule, and here for the roster.